FDIC - Let's Do This! Pack your bags and get ready for a full conference next week as we once again take over Inianapolis, IN for FDIC! 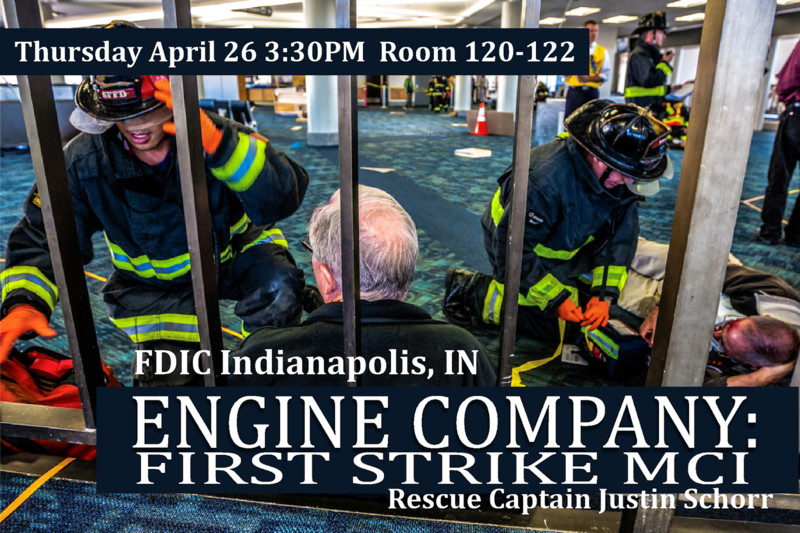 This year I'll be bringing back Engine Company: First Strike MCI, a class focused on the Engine Company being first in on an MCI. We discuss pre-planning, setting expectations of your Company and how to make the first 90 seconds go smoothly. Leave your vests, tarps and fancy tags for later, this is the nitty gritty of MCI Initial Operations. Crowd estimation, what it means to transmit "Business as usual," tasks for your engine driver...all this and more will be covered! Hope to see you there! Thursday, 3:30 PM, Room 120-122!